• Give riders control when skating through the flats and lift lines. • Provide traction for snowboarders’ free foot when exiting or getting on the lift. • Stomping one-footed landings and tricks. • Clearing snow and ice from your boot before strapping in. 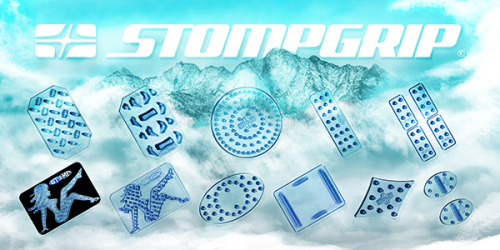 • 3-D plastic injection molded Stomp Pads with or without graphics. • Ultra-clear, proprietary plastic blend so you can show off your graphics. • Molded rounded edges to prevent peeling off of boards. • Strongest adhesives with easy to peel and stick backer. • All products are made to order. 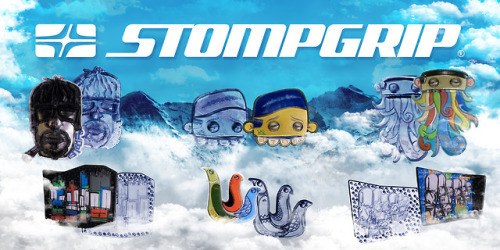 Check out Stompgrip’s full line of Snowboard Stomp Pads at https://www.stompgrip.com/shop/snowboard/stomp-pad there you will find all types of awesome originals such as our Old School series and the best-selling Pro Mats!! This guy did a great job speaking to the value and benefits of using #STOMPGRIP Tank Grips!! To further help educate people about the benefits of motorcycle Gripper Seat Covers, the features of our world-famous brand, and to show how we carry styles for all types of riders in Dirt & Snow! To further help educate people about the benefits of motorcycle tank grips, the features of our world-famous brand, and to show how we carry styles for all niches.